The book of Psalms is part hymnbook, part prayer book, part wisdom literature, and part anthology of poems concerning Israel and God. Its subject matter is astonishingly broad. On the one hand it proclaims praise and prayer to God and on the other it encompasses human experience and emotion. 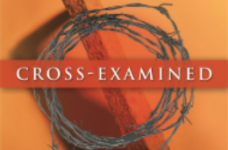 In John’s gospel Jesus offers us a series of intriguing word pictures to help us understand His identity and the nature of His mission. 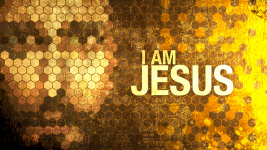 These ‘I am’ statements link directly to the eternal and personal nature of God. First and foremost worship isn’t something we do : it is a response to what God has done through Christ. Worship is a life lived ‘in the light of God’s mercy’. 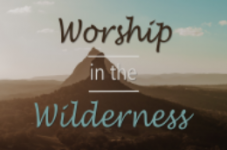 In order for this truth to impact us, our gathered times of worship need to shape us. 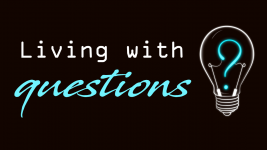 Living with Questions … about violence We live in an increasingly violent world, and it raises complicated issues for followers of Jesus. Are we pacifists or can we join armies? Do we believe in capital punishment? Could we be terrorists? And what about the invisible violence in family life? 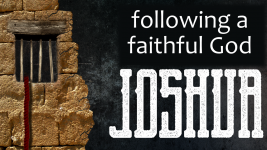 The story of the book of Joshua is all about God’s faithfulness. In it we see God making good on His promises. God's people face overwhelming odds but emerge victorious only because they committed themselves to following a faithful God.